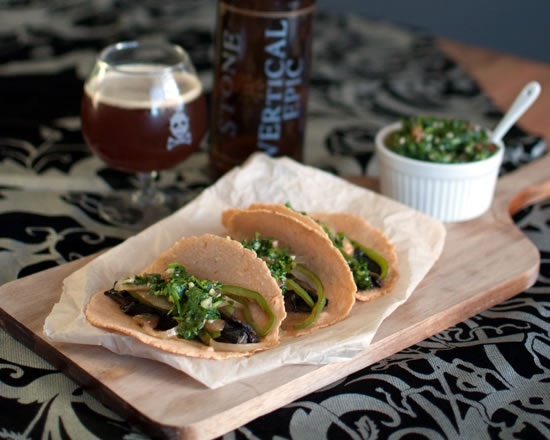 For October Unprocessed I developed this recipe – Beer Marinated Portobello Tacos – and they’re to die for! The mushrooms are earthy, flavorful, and hearty; the sauce is herbaceous and bright! Best of all, they’re unprocessed and taste amazing! For the recipe, check them out on Andrew Wilders site – Eating Rules! Previous Post: « Feed Your Brain Rock Star – October is here(almost) and a Cook Book You Must Own!